BodEnvy CoolSculpting Orlando offers a free no-obligation consultation. During the consultation we will determine if your a candidate for CoolSculpting and our CoolSonic Plus regimen. During the consultation our technician will discuss your health history, do a quick exam and get 3D body imaging to determine if your a good candidate for a body contouring procedure. If it’s determined that there are areas of the body that have stubborn fat that a CoolSculpting procedure can help then we will provide a treatment plan and a price. You will see that our CoolSonic Plus regimen price is roughly the same as what others charge for CoolSculpting Cost in Orlando. Our 3D imaging technology is state of the art. It’s easy and takes about 60 seconds. 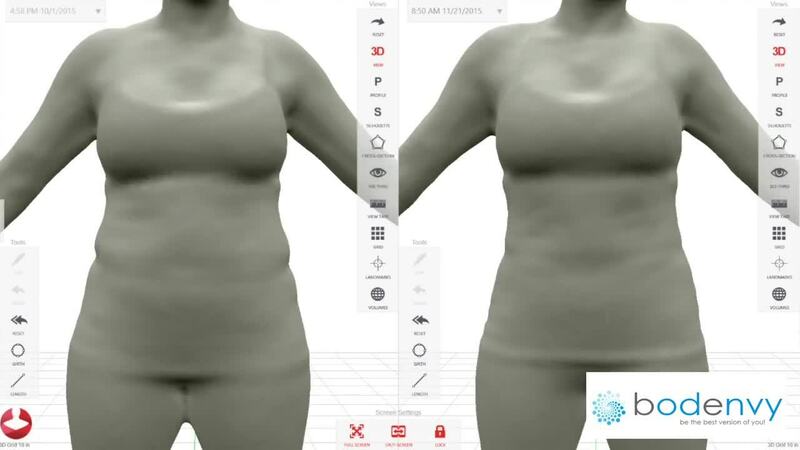 You will change into tight fitting garments then get on our 3D platform and hold a pose for about 40 seconds. In minutes we will have a full report to review and we can begin discussing problem areas. We will talk about your areas of fat and the results you can expect from a non-invasive body sculpting procedure. It’s our responsibility that you fully understand what your potential results will look like after losing excess fat, toning your muscles and tightening your skin. If you move forward with a body sculpting procedure we will take periodic 3D scans to track your results. This allows us to make changes to the prescribed regimen as needed and provide you real measurable level of final results for the treated areas. We will overlay earlier scans so you can see the exciting results of your body contouring in Orlando. The great thing about our CoolSculpting is that a portion of your fat cells are rendered dead and do not return. Unlike dieting, which shrinks fat cell, CoolSculpting kills them. Even though you are having the fat reduction treatment a healthy diet and exercise is still important. These incredible results do not require plastic surgery or weight loss to get rid of unwanted fat. Call BodEnvy today for your free consultation and 3D imaging session.